The Scroll of Fire is one of the most beautiful sculptures in Israel. 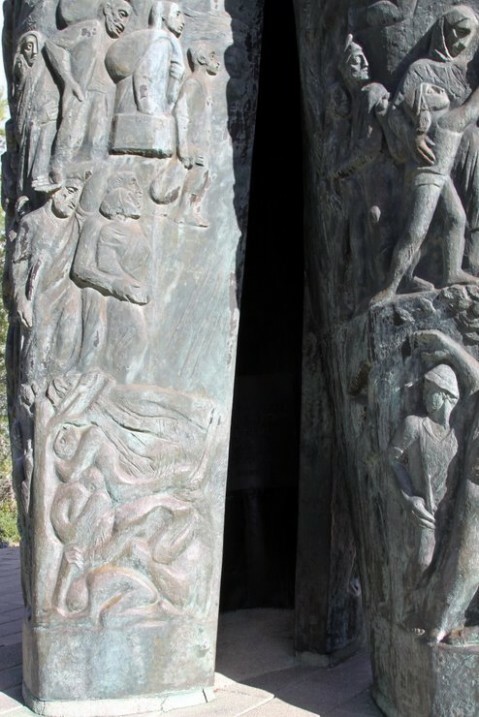 Located in what is the single largest memorial to the Holocaust in the world, the Martyrs Forest, it is an imposing work rich in detail and history – it tells the story of the rebirth of the nation from the Holocaust up to the Six Day War. The sculpture commands a spectacular view of its surroundings.